Currency convertibility is about how easy it is to convert a currency into another currency or into gold. When looking at currency convertibility, there are three different categories; fully convertible, partially convertible, and non-convertible. 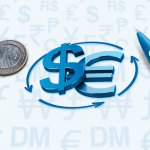 Currency that is fully or freely convertible can be traded without any conditions or limits. 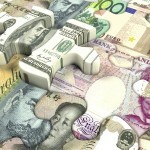 Generally, fully convertible currencies come from more stable or wealthy countries. All major currencies (the US dollar, the euro, the Japanese yen, pound sterling, and the Swiss franc), are fully convertible currencies. In addition to the majors, there are a few minor and exotic currencies that are freely convertible. The Canadian dollar, Australian dollar, Danish krone, New Zealand dollar, and Norwegian krone are all minor currencies that are fully convertible. Examples of fully convertible exotic currencies are; the Hong Kong dollar, Indian rupee, and Bahraini dinar. There are many benefits to a fully convertible currency, if an economy can support it. Namely, freely convertible currency can create more business and employment opportunities for foreigners, increase tourism (and with it, local economies), and gives the world easy access to that country’s market. 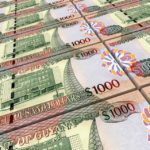 Fully convertible currencies are also a sign of stability and maturity in a country’s economy. However, there are a few potential drawbacks to having a fully convertible currency. Namely, there is a risk of foreign debt and a potential lack of competitiveness in the international markets. A partially convertible currency is a currency that can be traded only with restrictions and controls imposed by the government that issues it. In general, partially convertible currencies come from countries with less stable economies. An increase in the price of foreign imports or a capital flight on currency reserves could easily destabilize an already fragile economy. Therefore, limits are imposed – thus making a currency partially convertible. All partially convertible currencies are exotic currencies. Some examples include; the Chinese yuan, South African rand, and Malaysian ringgit. Rules to exchanging partially convertible currencies vary – some countries impose restrictions on where you can take the money (for example, Indonesian rupiahs must stay on-shore), others can only be converted in-country (like Philippine pesos). In many cases, documented proof is required either to show foreign currency buying is for a legitimate reason or have foreign exchange transactions registered with the central bank. Other common restrictions are limits on how much foreign currency you can have and how much domestic currency you can take out of the country. Non-convertible currencies or “blocked currencies” are, as the name suggests, not at all traded on the foreign exchange market. Currency is blocked by the issuing government, usually to protect the country’s extremely fragile economy. The only way to exchange non-convertible currency is on the black market, making business in countries with non-convertible currency both risky and difficult. Often, non-convertible currencies are exotic. An example of a blocked currency is the Venezuelan bolívar. Learn more about majors, minors, and exotics!